Erna Finkelstein, geboren Nowak, was born in Vienna in 1914. After schooling, she became a full-time housekeeper/carer for her parents. She married Herbert Finkelstein in April 1939. Erna’s family history forms the basis of a book by Robert Fraser, Kaiser to king: A family saga – a copy of which is available in the Wiener Library, and in the National Library of Australia. Erna Nowak was born into an upper-middle class Viennese Jewish family whose fortunes derived from property, but had declined in the aftermath of the Great War. As institutionalised antisemitism became more prevalent in Vienna in the 1930s, her fiancée, Herbert Finkelstein, was arrested as part of the Kristallnacht purge and sent by train to Dachau concentration camp. She and Herbert’s father, Adolf Finkelstein (who would later be deported to Riga, from where he never returned), managed to obtain Herbert’s release, and also documents allowing Herbert entry to Great Britain, and eventually, it was hoped, to America. To achieve this, she and Adolf took turns for days standing in a queue on the footpath outside the Gestapo headquarters, and also the British consul’s office. Herbert managed to find a sponsor to migrate to the United States, whenever this might be possible. He was an American with the same surname – Robert Finkelstein – whose details they found in a phonebook in the American embassy. He generously provided the necessary documents and, in doing so, he helped to save their lives. Erna herself was also able to obtain a permit to enter Britain as a domestic worker – the only manner of work that the British authorities allowed. Herbert left for Britain a week after being released from Dachau and after quickly marrying Erna. 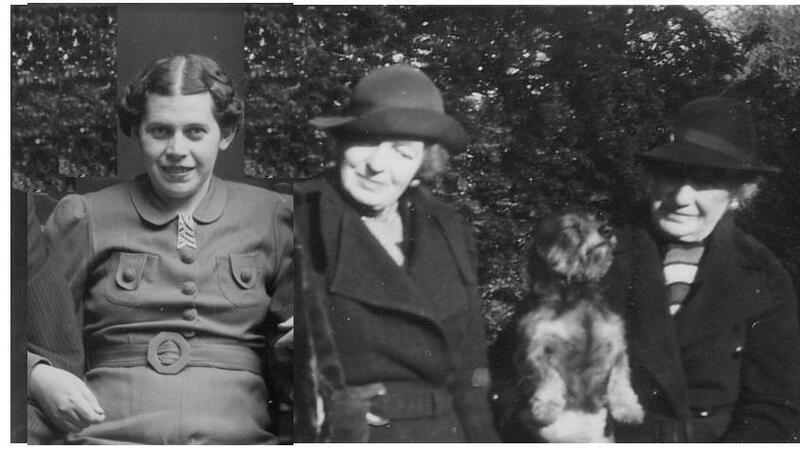 Erna stayed on in Vienna to look after her ailing Mother, but eventually was also forced to leave, arriving in London just a few days before the declaration of World War II. She spent a week in a Jewish household in Stepney, where she was welcomed by Bubba Mazin and her daughter Sarah with a cup of hot borscht and some words of comfort in Yiddish. Erna was intended to go to Manchester where she had a place as a domestic, but, being close to a nervous breakdown, decided instead to stay with her husband, Herbert. So at the end of the week, the couple travelled to Kitchener Camp near Sandwich. On the train, despite speaking minimal English, they fell into conversation with two English ladies. When the ladies went to the dining car, Erna made friends with Edna, their dog, and the ladies commented that anyone who liked dogs was a friend of theirs! They invited the young couple to tea at the weekend. 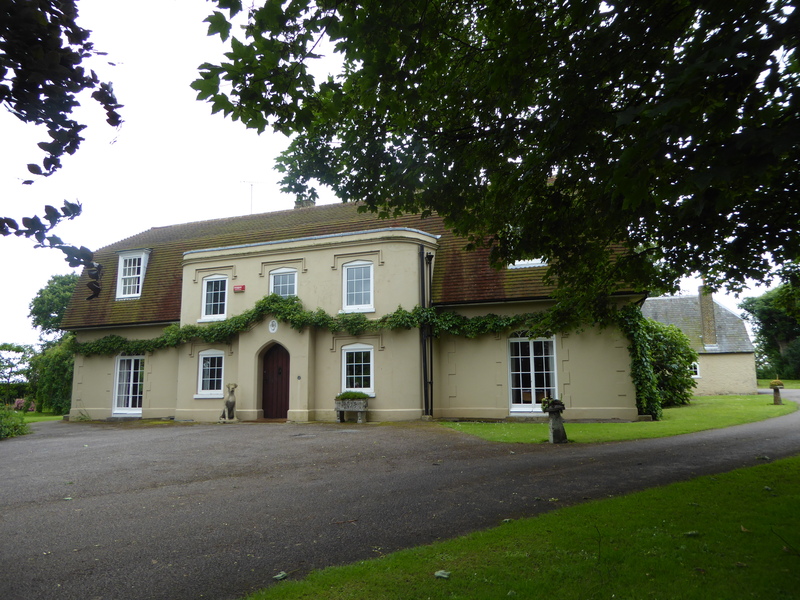 In October 1939, when Erna was forced to leave Kitchener Camp, which had not been intended to house women, the ladies invited her to move in with them in their house, ‘Woodnesborough Grange’, near Sandwich. The widowed sisters, Florence Farquhar and Edith Davies, treated Erna as a family member, gave her a room of her own in their large comfortable Georgian country house, and allowed her the run of the house and its extensive grounds. At her own request, she was allowed to assist with the housework. 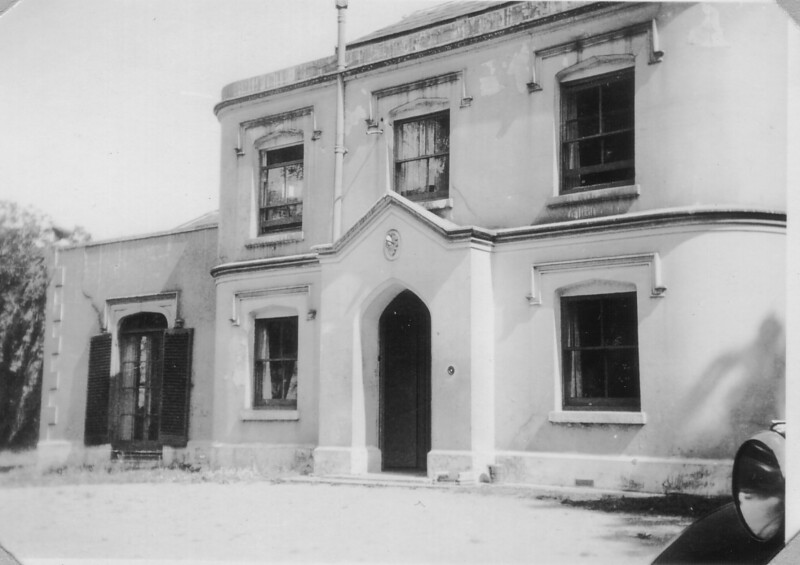 Erna Finkelstein – Woodnesborough Grange as it was during WW2. Mrs Farquhar and Mrs Davies were well-off and employed household staff. Herbert was invited many times to visit at weekends for afternoon tea, and on leaving, they often surreptitiously dropped a half-crown coin into his jacket pocket. The ladies were sorry to see the couple leave after three months, to travel to Cardiff in Wales. Herbert, a trained weaver, had obtained a post at Finetex, a textile manufacturer, where he operated weaving machinery that manufactured webbing for army uniform belts (a job that had been designated a ‘reserved occupation’), and he often worked night shifts during air-raids. Erna, with no professional skills except household management, was employed as ‘companion’ to Mrs Finder, the wife of the co-owner of the factory, with duties including house-keeping, and Viennese-style cooking, at which she excelled. When residence regulations for Aliens changed and the couple were required to move further away from the coast, they moved to Merthyr Tydfil. 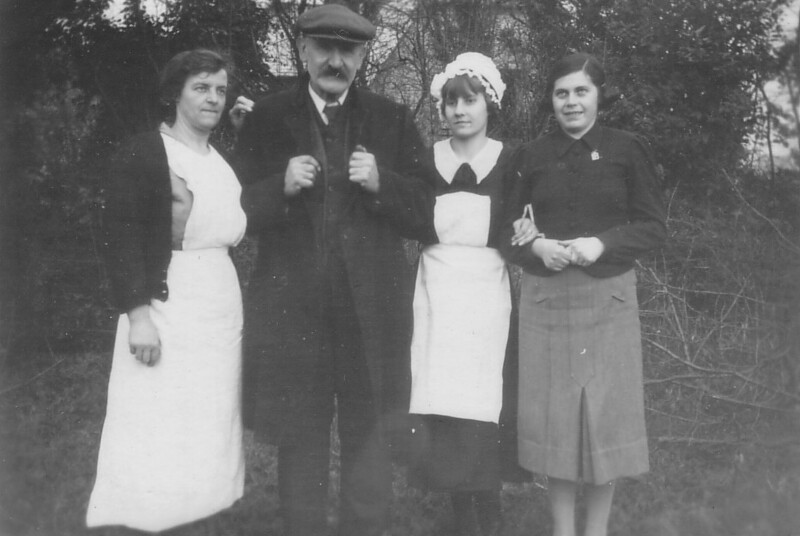 Erna was able to obtain a job with a company engaged in war work, Welsh Products, where Herbert also worked. Erna’s organisational abilities, acquired when she single-handedly ran the busy family household in Vienna, enabled her to became a production control clerk and, later, head of despatch. Herbert was employed as a draughtsman/engineering charge-hand. When the war ended, the couple decided to stay in Britain and changed their surname to Fraser. Herbert obtained a position as an engineering draughtsman in an aircraft components factory. In 1948, Erna gave birth to their son, whom they named Robert, after Robert Finkelstein, (no relation), who had sent the initial required affidavit for entry to the USA. The two sisters in Kent had fairly well-to-do backgrounds and had married into well-connected middle-class families. Relatives included senior naval and military officers and minor aristocracy. Mrs Davies had been married to Vice-Admiral Edward Davies. A relative of Mrs Davies’s brother later became First Sea Lord and Chief of Naval Staff, whilst her uncle became an Air Vice-Marshal in the RAF. Her four sons all served in the armed forces. The eldest son, Edward, who was a Group Captain in the RAF, died in an air-raid on his air base in 1940. He was Station Commander of RAF Detling, north-east of Maidstone. Mrs Davies lies buried with her husband in Bexhill, Sussex. Mrs Farquhar’s husband, Albert, was a well-travelled Scottish-born engineer who had spent some time in Western Australia during the early days of the ‘Coolgardie gold rush’, where he managed several mines. He had also visited America to establish a ranch. Many of his family had served in the Royal Navy: his father, grandfather and two brothers became Admirals. He is buried in Scotland, his native country, and his wife is believed to be buried with him.